Today we store such valuable files on our computers. From family photo albums to accounting files, the possibility of losing your data can be frightening, but don’t panic. It is very likely that even if your computer doesn’t turn on anymore that we can recover your files. 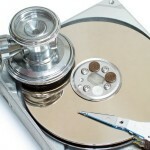 We have a team of expert data recovery specialists. With years of experience, we’ve helped people in the worst possible situations. We utilize a local facility here in Westchester County New York, and a clean room facility in California for advanced repairs that require disassembly of storage media in a dust free environment. If you think you may be in need of recovery the best thing to do is to turn off your computer and contact us. Attempting recovery yourself could result in further data loss.